It’s Friday October 20th 2017. 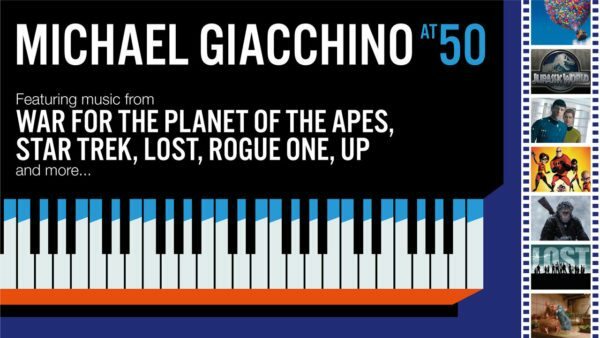 I step into the crowded, expectant Royal Albert Hall to witness Rogue One composer Michael Giacchino’s 50th birthday celebration. Within the comforting circular space so famous from the BBC Proms, the sense of excitement is palpable. And, as is always the case with live soundtrack concerts, I’m once again struck by the sheer age spread of those who have turned up. Young, old, teenage, middle-age – a remarkably diverse crowd has turned out to watch Giacchino bring the musical fireworks, everyone from young kids to adults and grandparents. It’s another heartening reminder of the power soundtrack music wields in evoking the memories of our favourite movies, even when separated from its symbiotic twin, the moving image. Indeed, it’s often argued that only the very best film scores work when separated from their respective movies, and it’s hard to argue with Giacchino’s pedigree here: everything from the snazzy brio of The Incredibles to the moving elegies of Lost and the thunderous choral climax of Jurassic World gets the crowd visibly exhilarated and energised. It’s a testament to Giacchino’s compositional prowess that his music possesses enough personality and power to work strictly on its own terms. Because of its inherently complex nature, beholden to the visuals first and foremost, film music has often been the victim of inverse snobbery from classical purists, advocates of the misguided belief that it has no autonomy beyond cinema itself. Nevertheless the sheer multitude of live score performances in the past five years seems to indicate a sea-change in the way soundtracks are viewed by the wider public: it isn’t for nothing that these gigs attract the finest orchestras (London’s Cinematic Sinfonia delivered a magnificent take on Giacchino’s diverse slate) and conductors (Ludwig Wicki whose energetic interpretations draw out the essential nuances). After all, only the finest performers in the business are capable of ensuring the live performance is as vibrant as that originally undertaken on the scoring stage. In the last two years alone I’ve attended half a dozen concerts at the Royal Albert Hall, among them performances of the complete scores from Back to the Future by Alan Silvestri, Raiders of the Lost Ark and Jurassic Park, the latter two by John Williams. Far from being a rarefied event and a preserve of classical snobs, all three shows drew massive crowds made up of people capable of recognising the music’s emotional importance. Each of the aforementioned events saw the live soundtrack substituting for the musical audio in the movie itself, which played on a giant screen above the orchestra. It requires razor-sharp timing to the millisecond – a fraction out and the whole experience will go out of sync, testing both the conductor and orchestra to the limit. In the recording studio a composer has the luxury of being able to work around his mistakes; there’s no such luxury in a live audience setup. Nevertheless, as Wicki himself says technological advances in the form of ‘punches’ and ‘streamers’, allowing the conductor to precisely sync to important events and down beats, has made the process a lot more sophisticated and straightforward. Of course, the Royal Albert Hall has been doing this stuff since 2009 and celebrated scoring venues like the Hollywood Bowl in Los Angeles have a rich, storied history of hosting legendary faces like John Williams. Nevertheless there is a distinct sense that the coverage of such events is increasingly permeating mainstream media: a 2013 Variety article noted that audiences for such gigs are growing exponentially, citing a 6,000-strong crowd turning out to celebrate Danny Elfman’s partnership with Tim Burton at L.A.’s Nokia Theatre. For my part, in the five years I’ve lived in the UK city of Bristol I’ve seen this increased proliferation of film music concerts firsthand. The city’s wonderful, esteemed concert venue the Colston Hall (recently turned 150 years old) hosts annual soundtrack-themed events in February and March every year, performed by the robust and brilliant Bournemouth Symphony Orchestra under the baton of conductor Pete Harrison. I’ve been lucky enough to attend all of them since 2013 and in the process have soared alongside Marvel superheroes, have been moved by sombre war elegies and been wowed by evocations of classic movie heroes like Indiana Jones. And not just me: like the Royal Albert these events regularly sell out to a diverse crowd of all ages, all of whom invariably ending up whooping and hollering on their feet, demanding encore after encore. And it’s not just your quintessential, heartwarming John Williams medleys that get an airing. At the Colston Hall I’ve had the enormous privilege of watching Mica Levi conduct her critically acclaimed, astringent score for Under the Skin live to picture, whilst I’ve also been lucky enough to see twisted interpretations of the music from David Lynch’s movies and also the Asian Dub Foundation’s innovative take on Lalo Schifrin’s work for early George Lucas sci-fi, THX1138. Just as film scores take many different forms, so do the concerts themselves. It’s all part of a growing trend towards increased appreciation of film music, arguably one of the most neglected art forms. Audiences are clearly delighted to witness soundtracks getting the increased autonomy they deserve, enthusiastic to witness firsthand the raw musical talent that memories and magic are made of. The likes of James Horner’s Titanic (himself the subject of an October tribute concert) and Hans Zimmer’s Gladiator prove regular soundtrack favourites at the Royal Albert Hall and it’s significant that the UK’s most famous classical music venue now has a regular ‘Films in Concert’ series ongoing into 2018, encompassing classic scores from the likes of Jaws, Harry Potter and Beauty and the Beast along the way. Not only does this get the hard-working composers increased exposure, it also allows people of all ages to re-engage with their favourite movies in fresh and exciting new ways. 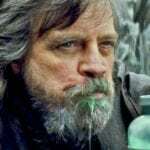 And with events including Hunger Games composer James Newton Howard’s greatest hits show this November, there’s no sign of live soundtrack popularity abating. Nor should it: the opportunity to see cinematic history rendered in musical form in front of our eyes makes for a transcendent, eye-widening experience like nothing else. Sean Wilson is a journalist, writer and soundtrack enthusiast and can be found on Twitter here.